What are the biggest threats facing Jieh? At present, in the short term as well as the long term. What are you fears? How do we over come them? Can someone teach these people in Baladiye how to properly spell Jieh and correct all the signs? It’s ridiculous that we have 5 signs in towns and each one spells Jieh differently. 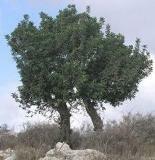 BTW - JIEH is the correct spellig - it was used until an illeterate was contracted to redo the signs after the war. This is not a fear but a concern - Is the Baladiye still relevant with the existence of powerful feuding parties of Jouzou and HA around? It’s ridiculous that we have 5 signs in towns and each one spells Jieh differently. So true lol and not just those in town… driving down the highway you will see that billboards promoting the many Jieh resorts also spell Jieh differently. I agree this is an issue that needs to be addressed and signs corrected. What the council can do is send notifications to companies or individuals running the resorts and request the change. Prior to editing my previous post I concluded it by requesting posters to avoid sectarian speech… but then I removed it because I was to going to mention land sales and leases as a threat. Can we have examples of how Jouzou and HA are making the council irrelevant? 1)Council: We need to start work on the next campaign and rally behind a single team. Whether it is headed by Dr George Nader Azzi or anybody else. It doesn’t really matter. We need to unite and support one candidate. We need to maintain a majority on the board. My biggest fear is losing the council, because a result in doing so could be catastrophic. 2)Land sales and lease: this has been discussed at length on numerous occasions if you can’t see the threat by now you never will. I am offering a solution. A letter and action plan will be emailed soon. 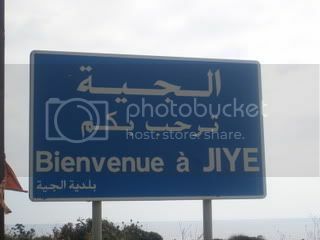 I always thought JIEH is the English spelling, and JIYE is the French spelling. The language used on street signs is Arabic and French, so its only normal to see JIYE as the official French spelling of the word aside from Arabic. For business, English spelling is used and that's probably where you see JIEH used.